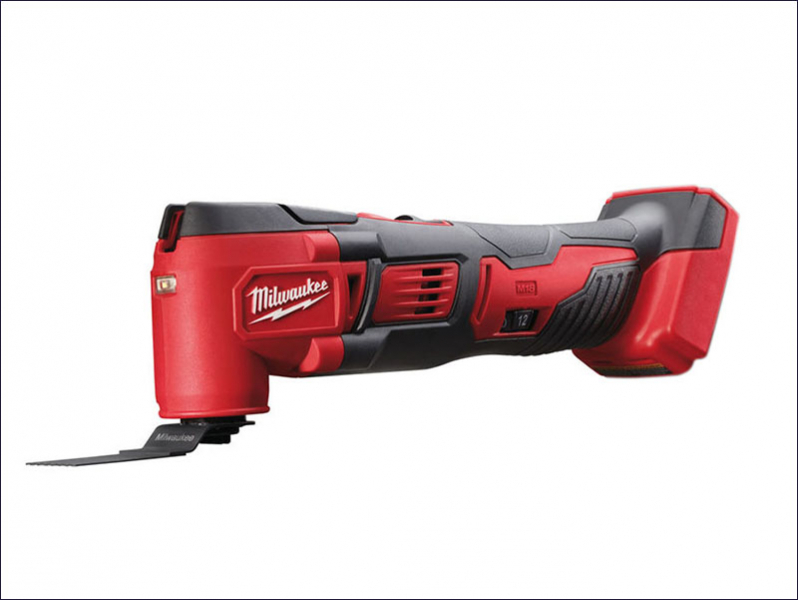 Milwaukee M18 BMT Multi-Tool is a versatile cordless solution for cutting and removal applications. With REDLINK™ overload protection electronics in tool and battery pack, it delivers best in class system durability. Variable speed (12,000 - 18,000/min) and 1.7° left/right oscillation movement allows quick completion of professional applications into materials such as metal, wood and plastic. With FIXTEC™ tool free blade change and a bright LED work light. A fuel gauge also displays the remaining charge. No Load Speed: 12,000 - 18,000/min.